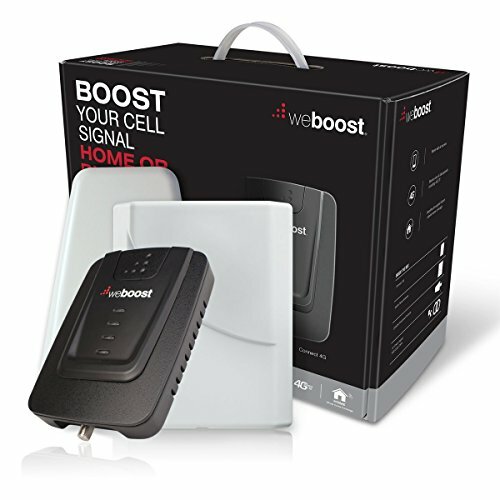 weBoost Drive 4G-S 470107 Cell Phone Signal Booster, Cell Signal Booster for Car & Truck, Boosts 4G LTE Cell Signals – Enhance Your Cell Phone Signal up to 32x. 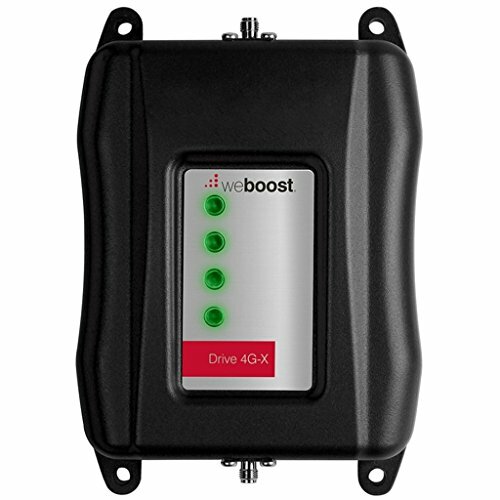 The Drive 4G-S is weBoost’s most affordable 4G vehicle cell phone signal booster. 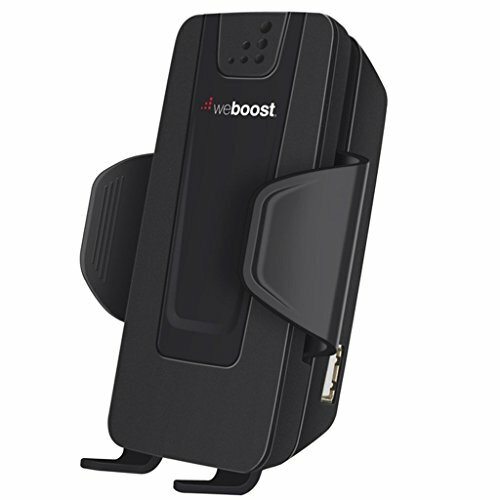 This 4G booster can boost cell signals up to 32x, enhancing 4G LTE and 3G signals for one person in a car, truck, van or RV. weBoost's 4G-S is compatible with all US and Canadian networks such as Verizon, AT&T, Sprint, T-Mobile, US Cellular, Straight Talk and more. 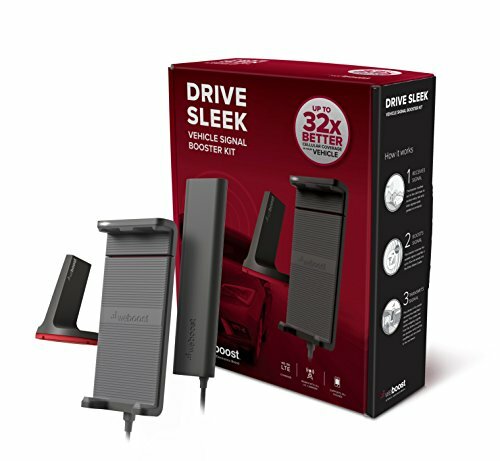 An optional indoor accessory kit is also available to use the Drive 4G-S as a home signal booster. This FCC & Industry Canada Certified booster comes with all components needed for installation in one package making DIY installation a breeze. As usual, weBoost's Drive 4G-S comes with a 30-day money back guarantee and a 2-year warranty. The Drive 4G-M is a popular 4G vehicle cell phone signal booster. This booster for vehicles extends cellular signal range to ensure you get better voice and data with fewer dropped calls, improved voice quality, faster uploads and downloads. 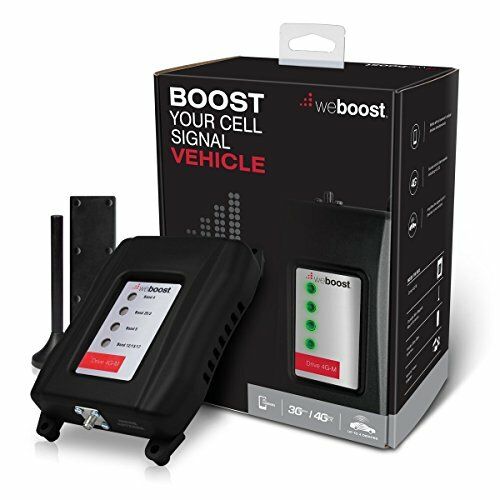 weBoost's Drive 4G-M boosts cell signals up to 32x to enhance 4G LTE and 3G signals for everyone in the vehicle such as a car, truck, van or RV. This booster is compatible with all US wireless networks such as Verizon, AT&T, Sprint, T-Mobile, US Cellular, Straight Talk and more. Each booster comes with an inside antenna, magnetic outside antenna, and power supply. Complete with a quick install guide for easy setup. 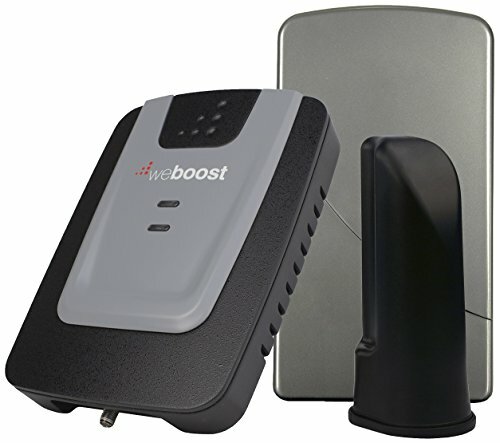 weBoost provides a 30-day money back guarantee and 2-year warranty to ensure the best cell phone signal booster experience possible. 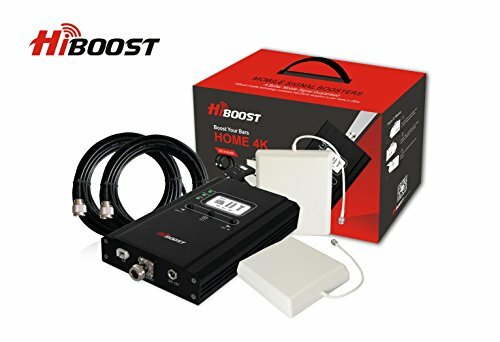 weBoost Home 3G Cell Phone Signal Booster Kit for Home and Office – Enhance Your Signal up to 32x. Can Cover up to 1500 sq ft or Small Home. For Multiple Devices and Users. The weBoost Connect 4G-X is our most powerful 4G building booster. weBoost's Connect 4G-X is professional grade, allowing users to get better voice and data with fewer dropped calls, improved voice quality, faster uploads and downloads. 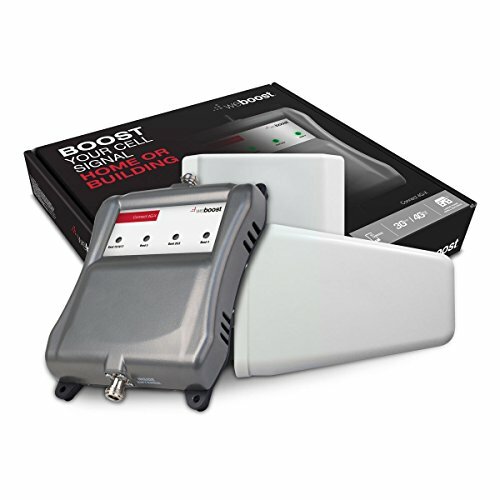 The Connect 4G-X Booster increases cell signals up to 32x and enhances 4G LTE and 3G signals for buildings up to 7,500 sq ft. As with all of our boosters, it is compatible with all US networks including Verizon, AT&T, Sprint, T-Mobile, US Cellular, Straight Talk and more. Quick and easy installation with easily instructions from our Quick Install Guide. 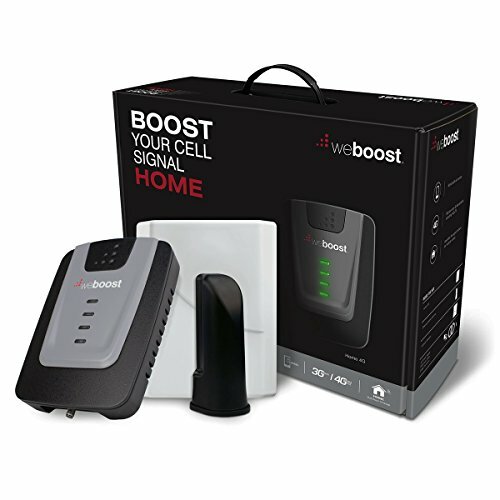 All parts are included in the weBoost Connect 4G-X kit and friendly trained support staff on call to assist. All boosters come with a 30-day guarantee from manufacturer and a 2-year warranty. 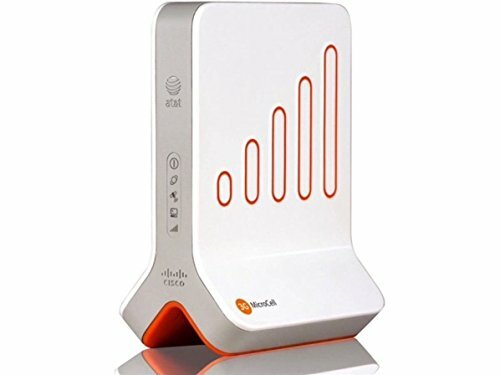 Compare prices on Boost Cell Phone Signal at ShoppinGent.com – use promo codes and coupons for best offers and deals. Start smart buying with ShoppinGent.com right now and choose your golden price on every purchase.